Advancing multibeam technology allows us to map the seafloor better than ever before, and we have plenty of stunning bathymetry to show for it. Yet the ever-increasing data volume presents some challenges during both quality review and in its generalization to nautical chart scale. Specific inefficiencies in these processes have been identified and are addressed with new Python tools that shift manually-intensive efforts toward automation, for a faster, easier review. With more timely feedback to field parties, the tools were a catalyst for the newly-implemented Rapid Survey Assessment, and also have been incorporated into HydrOffice, a collaborative effort with CCOM/JHC to develop a research software environment with applications to facilitate all phases of the ping-to-chart process. 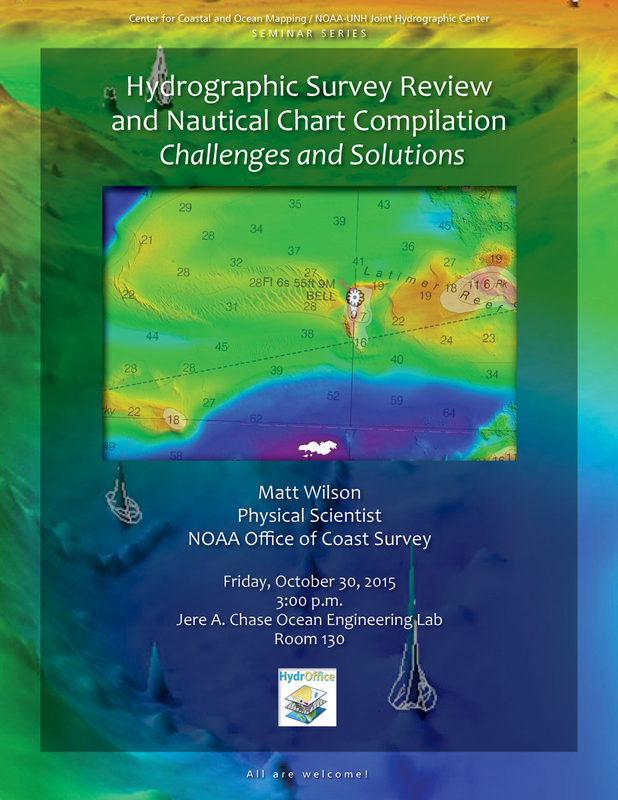 Matt Wilson is a physical scientist for the NOAA Office of Coast Survey. He graduated from the Center for Coastal and Ocean Mapping/Joint Hydrographic Center in 2012 with his MS degree in Ocean Mapping. Wilson works at the Atlantic Hydrographic Branch in Norfolk, Virginia, where he is involved in data verification, nautical chart compilation, and ship support.